As one of the most captivating and authentic cities in Asia, Hanoi is filled with historic sites and cultural attractions. Visitors can enjoy exploring the unique sounds and tastes of the vibrant urban living here. 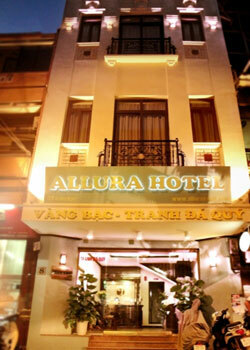 Whether on long holiday or just passing through, Allura Hanoi Hotel is ideal for the fullest "Hanoi experience". In the heart of the old quarters and only minutes to the famous Hoan Kiem Lake(Restored Sword), it is immersed in the charming of Hanoi with traditional Asian cuisines and produces yet so convenient for shopping and banking. Wish you a happy vacation! We always look forward to proving our services quality. Your satisfaction is our mission. "...Allura Hanoi provides the perfect balance between tranquillity and convenience. All facilities are always kept at highest standard of hygiene..."